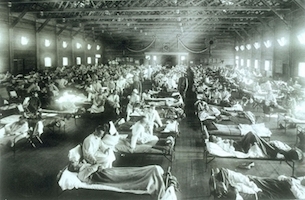 The Franklin County Board of Health was established in October 1919 as a result of the Great Influenza, the most devastating pandemic flu on record. We have operated as a full-service health department in the State of Ohio since that time.In 2010, the department's name and logo changed to Franklin County Public Health (FCPH) to more accurately reflect all the services performed. Our Board is still known as the Franklin County Board of Health. See below to learn more about our structure and how we operate by law. The authority of any health department in the State of Ohio is granted by law and is specifically detailed in the Ohio Revised Code primarily sections 3701, 3707, and 3709. By code, we are a general health district. A five member Board is appointed by the District Advisory Council. The Board appoints a Health Commissioner who oversees the day-to-day operation of the department. FCPH has a staff of approximately 90 people. See below for detailed information on the structure of the department. The Board appoints a Health Commissioner who oversees the day-to-day operation of the department. The District Advisory Council appoints members to the Board. The makeup and creation of the District Advisory Council was determined by the State Legislature in 1919. Franklin County Public Health leads our communities in achieving optimal health for all. Franklin County Public Health improves the health of our communities by preventing disease, promoting healthy living and protecting against public health threats through education, policies, programs and partnerships. 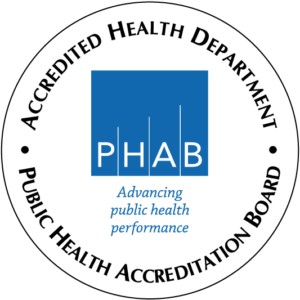 On March 11, 2016, FCPH officially became a nationally accredited public health agency through the Public Health Accreditation Board. The national accreditation program works to improve and protect the health of the public by advancing and ultimately transforming the quality and performance of public health departments. The accreditation process helps to ensure that the programs and services we provide are as responsive as possible to the needs of our community. With accreditation, FCPH is demonstrating increased accountability and credibility to the public, funders, elected officials and partner organizations with which we work. To learn more about Public Health Accreditation visit www.phaboard.org. Review our 2017 services and accomplishments. Learn about the goals and strategies that are being used to strengthen FCPH. We are organized into three divisions: Administration, Prevention & Wellness, and Environmental Health. This Plan serves as the foundation of our commitment to the ongoing improvement of the quality of services that we provide. As defined by law in Ohio, Franklin County Public Health provides service to all of the townships and villages in Franklin County. In addition, 14 cities in Franklin County contract with our department to serve as their health department and provide comprehensive public health services to their residents. The Fiscal services of FCPH strives to provide effective and efficient management of agency resources. Learn more here. Franklin County Public Health’s Notice of Privacy Practice Summary in English | Spanish | Somali describes how medical information about you may be used and be disclosed and how you can obtain access to the information. If you have questions please contact the Health Commissioner at (614) 525-3670. The address of the website visited immediately prior to visiting the FCPH site. Collection and analysis of this information in the aggregate will help us enhance site performance, improve informational materials available on our website and improve overall customer service. If an e-mail message to FCPH is sent or a questionnaire, form or other online survey found on the website is completed, FCPH will maintain the information in accordance with applicable federal law. FCPH does not disclose, give, sell or transfer any information about our website visitors unless required for law enforcement or otherwise required by law. Unless otherwise noted, material presented on this Franklin County Public Health (FCPH) website is considered local government information and is in the public domain. That means this information may be freely copied and distributed. We request that you use appropriate attribution to FCPH. Many materials are available in PDF format for ease of duplication. Note that if material is adapted or modified, all FCPH citations and logos must be removed. 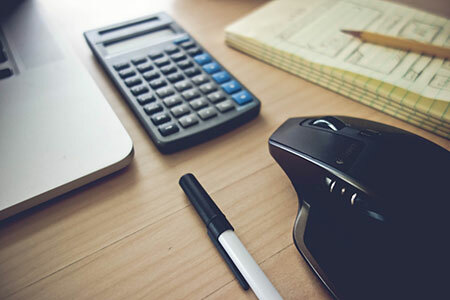 If copyrighted content, documents, images, or other materials appear on this website, it will be noted, and the copyright holder must be consulted before that material may be reproduced. Website managers are encouraged to link to www.myfcph.org. Please identify the site as the local public health agency providing services to the Franklin County, Ohio community. If you need the FCPH logo, visit our brand content page. Reference in this website to any specific commercial products, process, service, manufacturer, or company does not constitute its endorsement or recommendation by FCPH. FCPH is not responsible for the contents of any "off-site" web page referenced from this server. In order to assist site visitors in finding information quickly, FCPH takes advantage of Google's free Custom Search feature. In the event that Ads by Google appear on the Search Results page(s), FCPH neither endorses nor is responsible for this content. Ads by Google are created by companies that want to have their ads appear next to relevant content, based on a set of keywords they specify. These listing are administered, sorted and maintained by Google. For information about these Google ads, visit http://adwords.google.com. By clicking on any of these advertiser links, you will leave myfcph.org. The website you will go to is not endorsed by Franklin County Public Health or any of its associated Web channels. FCPH does not endorse the content of any third-party website. FCPH is not responsible for the content of links, third-party sites, sites framed within the FCPH site or third-party advertisements, and does not make any representations regarding their content or accuracy. Your use of third-party websites is at your own risk. FCPH does not endorse any product advertised on the FCPH site. When visiting our website, your browser may produce pop-up advertisements. These advertisements were most likely produced by other websites you visited or by third party software installed on your computer. FCPH does not endorse or recommend products or services for which you may view a pop-up advertisement on your computer screen while visiting our site.